National S'mores Day | Ship It! 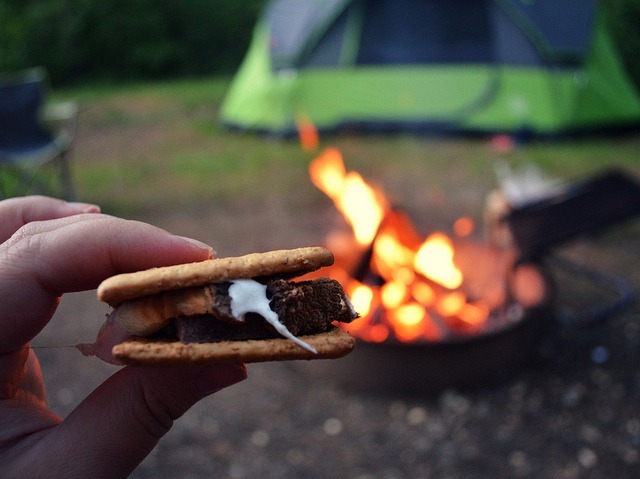 As we are getting to the last few weeks of summer it’s a perfect time to share a S’more or two with family and friends. The origin of this tasty snack is credited to the entrepreneur Alec Barnum, however the first recorded version of the recipe can be found in the 1927 publication of Tramping and Trailing with the Girl Scouts. Even though the Girl Scouts were not the first ones to make s’mores, Girl Scout groups describe them in their reports as early as 1925. Earlier recipes used the name “Some Mores” and it is unclear when the name was shortened to “S’mores”. Happy Natioanl S’more Day from the Ship It staff!